It's been a while since I posted something that I baked, so I thought it was a good opportunity to show off one of my all time favourite cakes - a lighthouse cake! 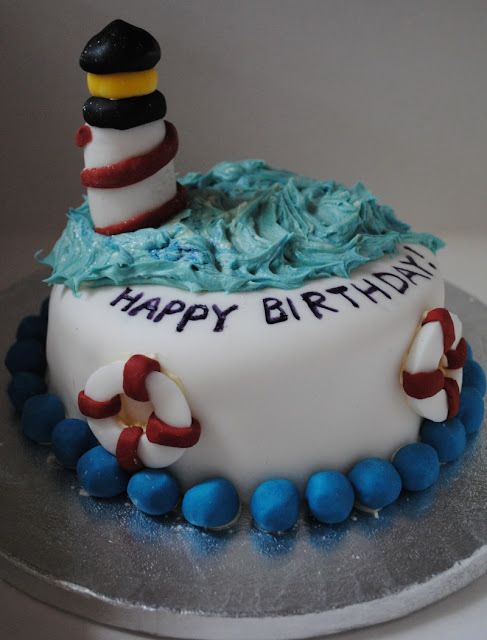 I made this a while ago for the accounts manager at my work - her husband used to work on lighthouses so she wanted a nautical themed cake for his birthday with matching gluten-free cupcakes. 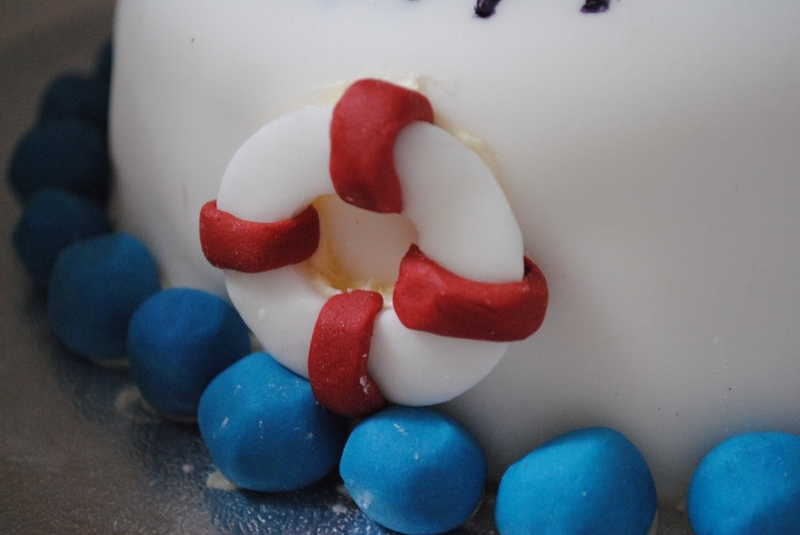 I used fondant to make all the little details (including the life boat rings, aw), and just sloshed on blue buttercream on top to make the waves. I used an edible pen to write on happy birthday but I wished that I had cut these letters out of fondant, or iced them on instead! Argh. Next time I'll know! The matching cupcakes were all gluten-free. I just followed my favourite cupcake recipe and replaced the flour with gluten-free stuff. I made the shells by pressing fondant into a mould, and brushed them with some lustre powder (so they were nice and sparkly, but you can't really see that here!). They all went down a treat! I love themed cakes, they are so fun to do. p.s. I feel a little bit like I'm cheating by showing you all a cake from days gone by, but I've never posted it on here before, so it's hopefully okay! That cake is impressive - well done you and all those little cupcake decorations are so cool! 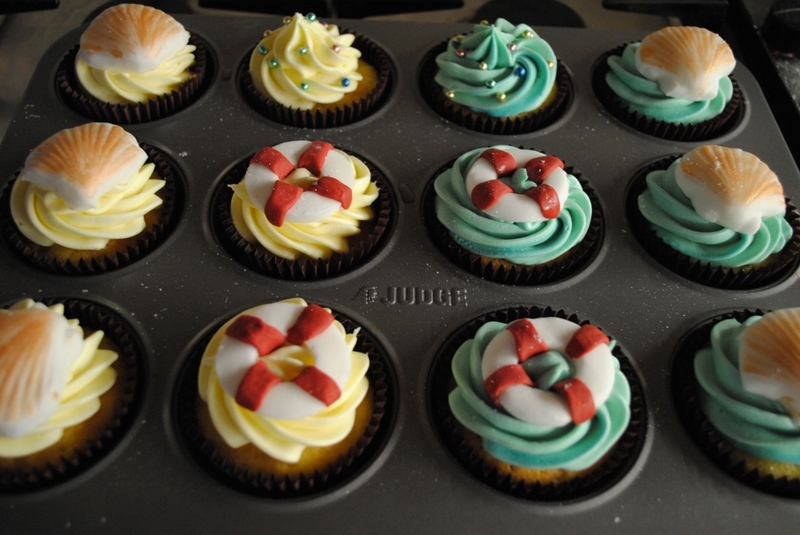 Wow I'm seriously impressed - how did you get the buttercream on top to go into such perfect waves? I'm an avid baker but I can never get my cupcakes to look as neat as yours!